No battle plan survives first contact with the enemy. I’ve done enough ultras to know that whatever gameplan I might come up with, no matter how well thought out it might be, will eventually need to be tossed out the window at some point. And BR100 was no exception. I had planned on a relatively fast start followed by a modest slow down once I entered the more technical trails later on during the morning. 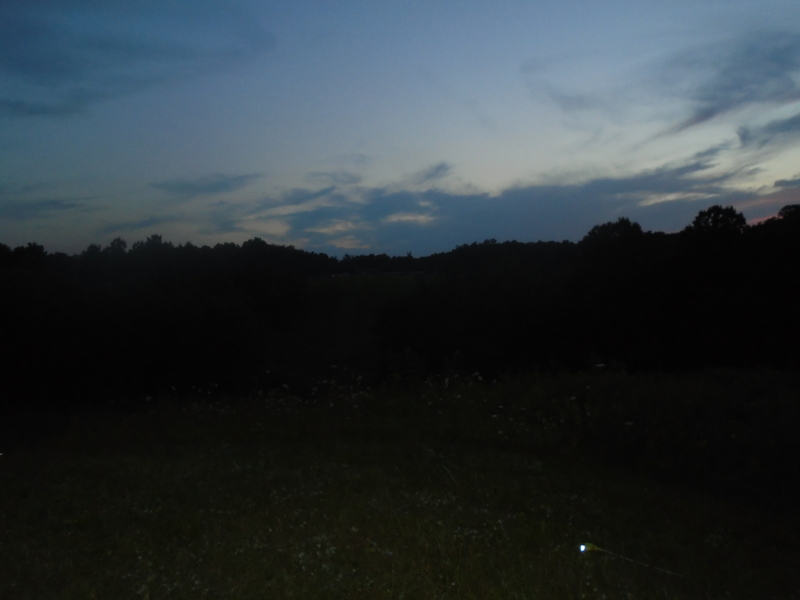 I would then slow a tad more as the day heated up and either maintain pace or pick things up a bit once the sun went down and it cooled off a bit. I’ve been able to execute this strategy at a couple other hundreds. It’s been a good plan for me and should have set me up for a comfortable finish inside 24 hours if not a new PR of 22 hours. Unfortunately. . . the best laid plans and all. Just before the 4am start at Squire’s Castle. I’m about to get medieval on this race. 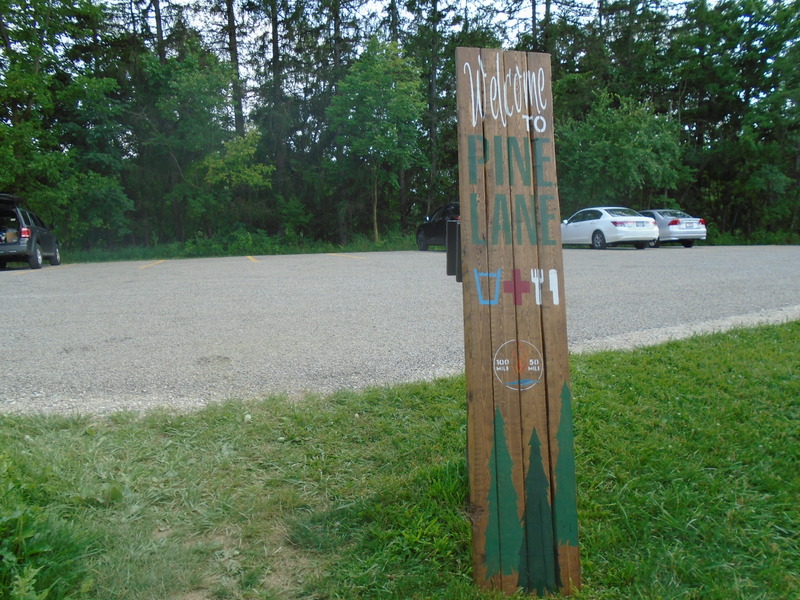 The race is a point-to-point course running from Squire’s Castle northeast of Cleveland to Hiho Brewing in Cuyahoga Falls. Packet pickup was at the Sheraton near the finish line and also served as the host hotel. While they run a shuttle to the start line in the morning, I decided to stay near the start so I could sleep in a little. As I was standing around waiting for the race to start, another runner mentioned that he read my Old Dominion race report and that it helped him out this year. That was awesome to hear and meant a lot to me. The only way I ever got the confidence to attempt these crazy distances in the beginning was reading about others races. So these reports are my little way of giving back to the community and providing additional information to runners as they prepare for future races. Looking back at the Polo Fields aid station. The race starts off with 11.7 miles of relatively flat roads and I was hoping to run something under a 10 minute pace comfortably. There’s really only one or two modest hills that you have to walk and the rest is blazing fast. Problem #1 was my left leg, which has been on the tight side for the past week. I won’t go as far as to say it hobbled me, but I definitely felt it and I’m sure it impacted me to a small degree. I was a little worried about it until my paces started coming in plus or minus 10 something and it started to loosen up a smidgeon after 5 miles or so. At the pre-race meeting the afternoon before (the RDs actually had 3), one of the runners asked if there were porta potties at all the aid stations. I chuckled to myself since it’s rare for a race to have them at more than one or two, yet this race had them at 17 of 19. Well, I wasn’t laughing too long after the first aid station when a pit stop was becoming more and more necessary. Not too far from Polo Fields, I heard a runner flying up behind me. He apologized as he passed saying he really didn’t want to be running this fast, but that he was in desperate need of a bathroom. Newman! Now I had competition for what was sure to be a scarce resource. Instead of starting to sprint (dude had to be running sub-8s), I took a deep breath and let him go which ended up being the right call as I didn’t have to wait once I finally got up to the aid station. There ended up being quite a few stream crossings along the course. Many of them without strategically placed rocks you could use to keep your feet dry. While you transitioned off the roads after leaving Polo Fields, you stayed on bridle paths or paved paths for the next 8 miles or so. These were mostly flat with the exception of miles 15-18 that had the first sustained climbing though it was relatively tame at 150 feet per mile. You don’t encounter the first true single track trails till somewhere around miles 20-22. Egbert Aid station at mile 25.5 loves their Cheeseburgers in Paradise. It was right around here that I started to think a PR wasn’t going to be in the cards for me this race. My pace had slowed down as planned, however I went from 10-11 minute miles straight to 13-14 minute miles. And it wasn’t even 9am yet so the hottest part of the day was still hours away. But it was far too early to give too much thought to finishing time so I just cruised along. 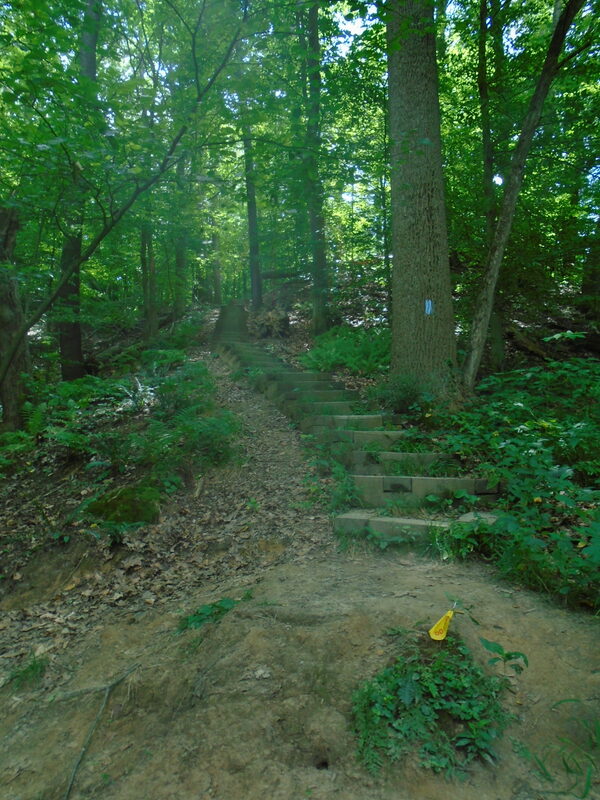 There were stairs like this all over the course. Typically, in short 20-30 step sections. Course flag marking in the foreground. Right before mile 30 was the Alexander Rd aid station. While it didn’t have a theme like several of the others, it was far and away the most enthusiastic. There were five ladies, one with a megaphone, cheering on runners as they entered. They were singing. They were dancing. And they told everyone coming in how awesome they looked. I had been grabbing fruit at each aid station and not only did they have oranges like the others, but theirs were peeled! Pure decadence as far as ultras go. They were also cooling runners off with water and sponges as you exited. While I was only there for 60-90 seconds, they left a lasting impression on me. It was right after this aid station that I went off course for the first of 3 times (last time was only about 100 feet). The race director mentioned several times during the pre-race meeting how well marked the course was and I thought he was tempting fate a bit too much with his pronouncements. There was a large group of us that all ended up missing the turn and ended up going down this large hill before coming to a fork in the trail with no markings. A couple runners pulled up the Racejoy app on their phones, which let us know we were a couple hundred yards off course so we turned around and headed back. When we got back to the course, the turn was clearly marked. Quick digression on how the course was marked. Flags were used for all the trail sections. When it came to turns, one flag would be placed at the turnoff with several more immediately following within the next 15-20 feet. My only critique is that the flags were placed on the outside of the turn. So the first flag is placed at the Y of the turn with the next several down the new trail. If you’re moving along at a decent pace (not me obviously, but others) or had tunnel vision down the trail (i.e. me) then you could see the first flag but miss the others and continue on down the unmarked trail. 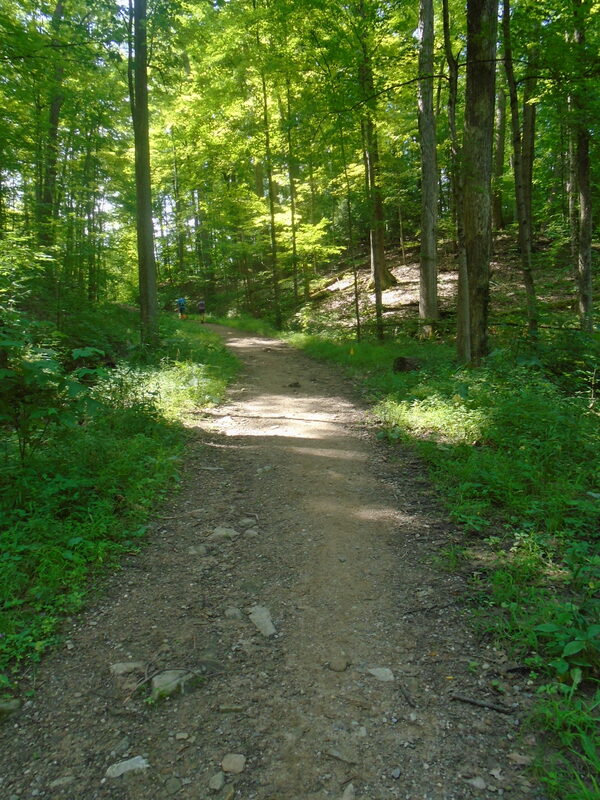 I believe if the trails had been marked on the inside of the turns, your eyesight would naturally be pulled away from the wrong trail and you would be more likely to see the other flags. I don’t mean for this to come off as a complaint though. You’re going to get off course in ultras no matter how well marked the course is. Sometimes vandals pull down markings. Sometimes you’re distracted like my last miss where I was screwing with my water bottle and literally almost tripped over the large white sign pointing out the turn. Sometimes you’re following the guy ahead of you who may have a poor sense of direction. And sometimes you’re just so mentally out of it that you miss the markings. It happens. Interestingly enough, I don’t think I’ve ever gotten lost at night. This course like others has reflective tape on the flags so they’re much easier to see at night than during the day. Eventually, I rolled into the halfway point at Boston Mills about 15 minutes inside 11 hours. Since this is where the 50 milers ended, the place was absolutely mobbed. I quickly found my wife, Kate, and had her lead me to a chair. Even though they say beware the chair, I wasn’t too worried. My time goals were steadily slipping away, but I still had over 19 hours to get to the finish line. My energy levels were solid and I was in good spirits. It was just my legs that were feeling more and more tired as the accumulated mileage continued to take its toll. Shocker, right? I only stayed for about 4 minutes, but the short breather was nice. After grabbing my MP3 player and backup watch, I was on my way. It’s now the middle of the afternoon and the heat was starting to get to me so I did what the smart people do and slowed down. I was walking more and more often on the flatter sections and a decent amount of the next section into Brandywine aid station was flat. First a spell on a towpath then you hang a U-turn onto a very narrow trail through a valley and over to this backroad. Pretty varied terrain for only 3.5 miles. Heading into the Pine Valley aid station. They had plenty of water and food there, but I don’t remember seeing any plastic forks and knives. Must have run out before I got there. 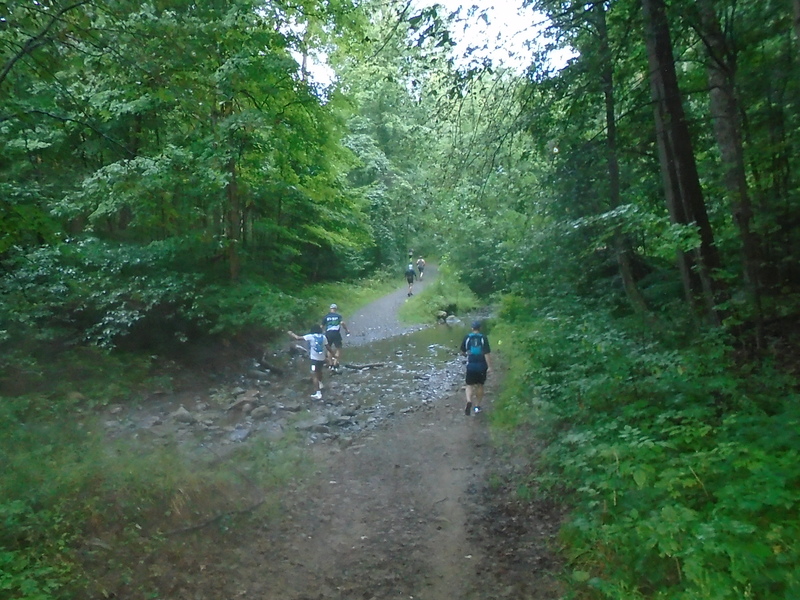 The section of trail between Brandywine and Pine Valley is probably among the most challenging on the course. I believe it was all trails and the hills were relentless. And did I mention that this was the hottest part of the day? I’m now clocking 16-17 minute miles and couldn’t care less. Relentless forward progress was the name of the game at this point (and most others, if I’m being honest). The ledges right before getting to the Ledges aid station. Somewhere along the next section, I got hotspots on the bottoms of my feet. It happened immediately on my right foot. One step just landed wrong and I could feel my foot slide inside my sock. The one on my left foot developed over a longer period of time, however never got as bad. I get blisters all the time and they tend to take care of themselves, but hotspots are a rare occurrence. I had Kate run to a drugstore in between aid stations to get me some moleskin, however I never had to resort to using it. While the hotspots were a little painful, I was fearful of misapplying the moleskin since I don’t use it and making things worse. Looking back after leaving the Ledges aid station. 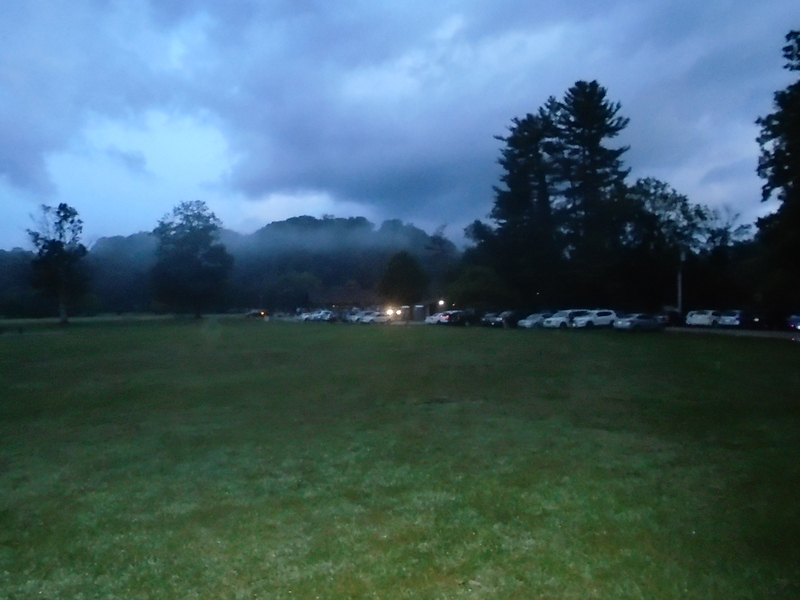 I had decided earlier that as long as I got to Boston Mills inside 12 hours, then I could make it to Pine Hollow at mile 71.8 before dark (9pm). As I got to Ledges at mile 66, I changed my mind and decided to get my backup one here just in case. Kate didn’t have it with her so had to run back to the truck to get it. Or maybe she walked because I’m standing there waiting. And waiting. And waiting some more. I always try and have a plan ready when I get to an aid stations so I can typically get my bottles refilled and food restocked in a minute or two. Just before my frustration is about to boil over, I realize I never told her to have it ready for me here. It also occured to me that my time goals were all kaput at this point and a couple extra minutes isn’t going to matter in the least. So I chilled and sure enough she was there with the headlamp (and extra batteries that she had already picked up earlier in the day) only a minute or so later. Looking across to the Pine Hollow aid station. Plenty of light to see by. I don’t remember a lot of the next section into Pine Hollow. I used my headlamp a couple times in the woods right before getting there, but could have gotten by without it if necessary. I would recommend picking up a headlamp before this aid station unless you’re able to get through Boston Mills inside 10 hours or Ledges in 15 hours. I sat down for the second time here, while I chugged an Ensure shake and ate some watermelon. I was starting to get pretty tired and needed a couple minutes to rest up. You do a loop through the woods back to Pine Hollow and while it’s relatively short, it’s definitely not the easiest bit of trail. I remember some decent hills (and stairs), however the most memorable thing during this section was me throwing up about halfway through. I had just started a gel and I couldn’t quite keep it down. My stomach didn’t immediately reject it. It thought about it for about a minute and waffled back and forth several times before deciding everything was coming back up. Since it wasn’t an immediate reaction, I waited a couple minutes and then was able to finish the gel without any problems. Just goes to show you never know. Though I think that was my last gel for the race. While I wasn’t really sleepy yet, I swapped out one of my bottles for coffee when I got back to Pine Hollow. I asked them for a little ice to cool it down, however I ended up getting a complete iced coffee. Haha. Oh, well. The temperatures had cooled down quite a bit, however it was still probably in the 60s. Temperatures always feel much colder for me overnight in 100s so I was wearing a long sleeve t-shirt and using gloves for the first 10-15 minutes after leaving aid stations. I was still managing a run/walk as I started out on the next section. Or rather maybe it was more like a shuffle/walk because my splits on flat miles were only 17-18 minutes. I wondered how fast I could walk a mile so decided to give it a try for mile 77. Turns out I was able to walk flat sections at a 17-18 minute pace. 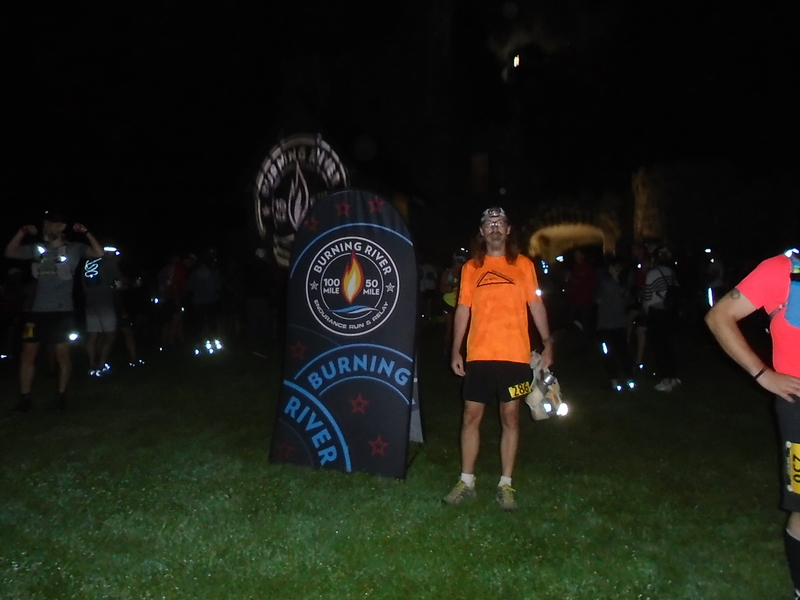 Thus ended my running of the BR100 and began my hiking of the BR100 as I walked in the last 24 miles. No, this picture doesn’t belong here. 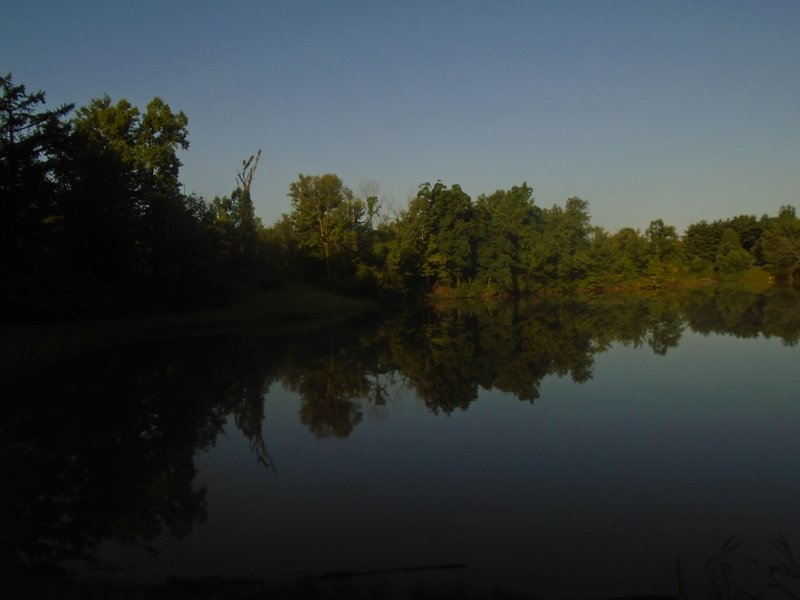 Yes, I took it earlier in the day on one of the towpath sections. Figured you could use something visual about now to keep yourself from nodding off. You’re welcome. 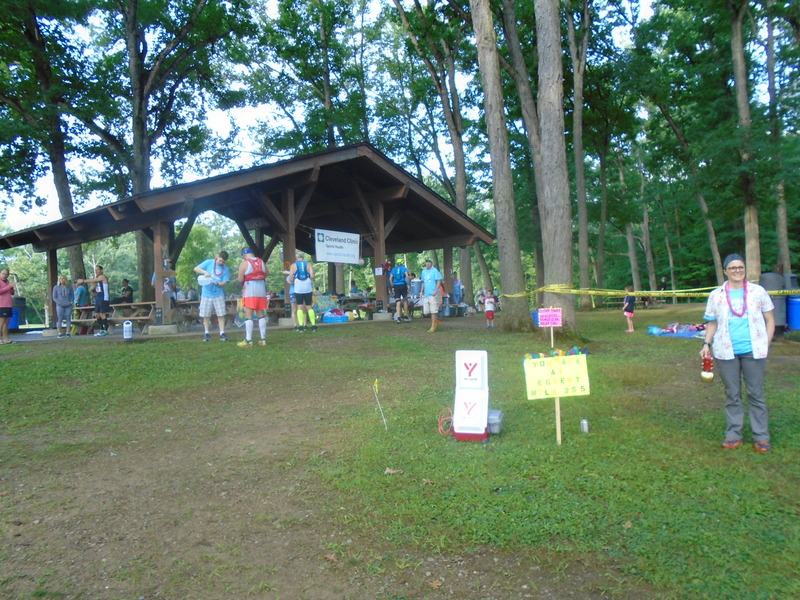 The next aid station, Covered Bridge, was my favorite as it was pirate themed. As soon as I rolled in, I made a beeline for a chair and promptly sat down. I was immediately being helped by a volunteer and chatted with a runner next to me as they brought me some fruit and checked on their broth status (vegetable – yes; chicken – no). We were both in similar places – slower than planned, but having a great time. He pointed out that while all the volunteers were in costume, there were no eye patches or parrots to be found. Dude was far too perceptive for 20+ hours into the race. Either that or he had been hanging out quite a while watching the Pirates of the Caribbean movie that was playing on a screen right across from us. I got what I needed and was up and out of there within 3-5 minutes. I wasn’t rushing, but I wasn’t dawdling around either. You do a little trail loop and return back to the Covered Bridge aid station. This is not an especially fun section of trail if memory serves correctly (and there’s a decent chance it may not). And by that I mean it’s not easy. Once back at Covered Bridge, I sat down for the last time in the race. I grabbed some watermelon and as soon as I was finished, jumped up popped up creakily rose from my chair and headed back out into the night. From here on out you’re pretty much on roads or multi-use paths for the rest of the race. So smooth sailing. Or at least smooth sailing if you haven’t managed to cripple yourself by going out too fast, bombing the downhills, or pushing too hard during the hottest parts of the day. I was cruising along at a slow and steady pace and rolled into Boztum (mile 91.7) where I would see my wife for the last time right before 3:30am. The volunteer helping out there mentioned how good I looked and I immediately thanked her for the beautiful lie. Nope, still dark out. This is a hill from earlier in the day. 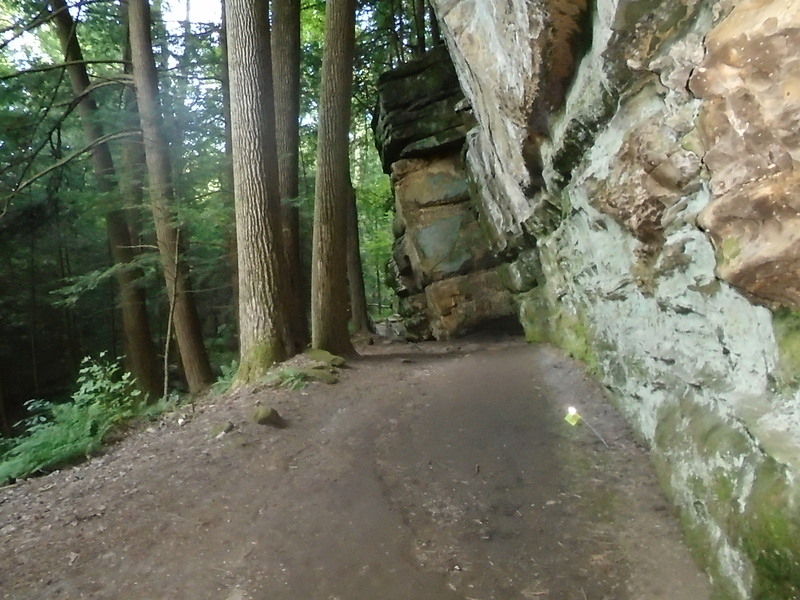 No idea why the pictures never look as steep as the actual trail. Might be my photographic skills. Leaving the aid station, you head across a road and make a quick right onto a multi-use trail that takes you all the way to the last aid station. I guess because there were no turn offs or side trails starting out, they decided to cut back on the number of flags along this section. Where before you would see one every tenth of a mile or so, now they were a quarter mile or more apart. Guess why they call extra course markings in between turns “confidence” flags. Do you know what I could have used 24 hours into the race? A little extra confidence. The entire time I’m laser focused on looking for the next marking. I’m even sweeping my head from left to right to increase the chances of my headlamp flashing the next reflective marking. It didn’t help matters that I spent the first hour entirely on my own as the field had thinned out considerably from earlier in the day. I saw only two back 50 runners the entire time. This very flat, easy section seemed to take forever as next to last sections typically do. Finally, I saw battery powered candles lining the trail and knew I was about to Memorial Parkway aid station at mile 97.1. I grabbed a couple more pieces of orange there and was on my way. About a half mile outside of the aid station my left pinky toe exploded in agony as a blister went nuclear on me. Mother&^#*&@! Again?!?! For the third time in a hundred, I’ve had a blister go supernova on me within the last 5 miles of a race. I have no idea why this happens though I’m extremely thankful it occurs with an hour left in the race instead of 15 hours. I changed my gait and tried all kinds contortions to try and control the pain. Luckily, it worked itself out (mostly) within the next mile or so and was only painful for brief periods of time after that. 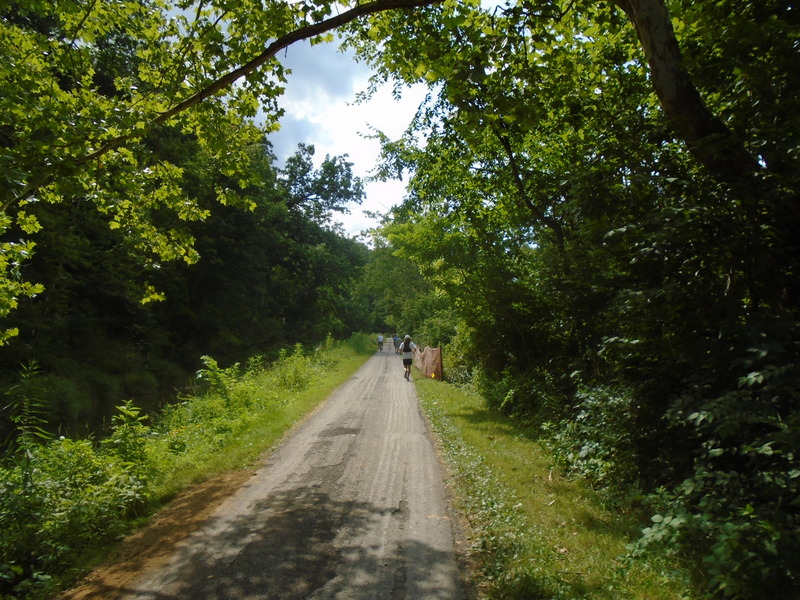 There’s about a mile of wooded trails followed by about a mile of this crushed gravel path and then you’re onto the road heading to the finish line. I passed another runner here, chatted with his pacer for a bit, then strolled across the finish line with a time of 26 hours 24 minutes. I didn’t end up hitting any of my time goals and while I missed last call, they opened the brewery early so I was still able to get my finish line stout. That’s a win any day of the week in my opinion. This race ended up being much harder than I expected. Then again, this tends to be the case with most 100s. I think the elevation gain is closer to 10k feet than the 6-8k I read about online. 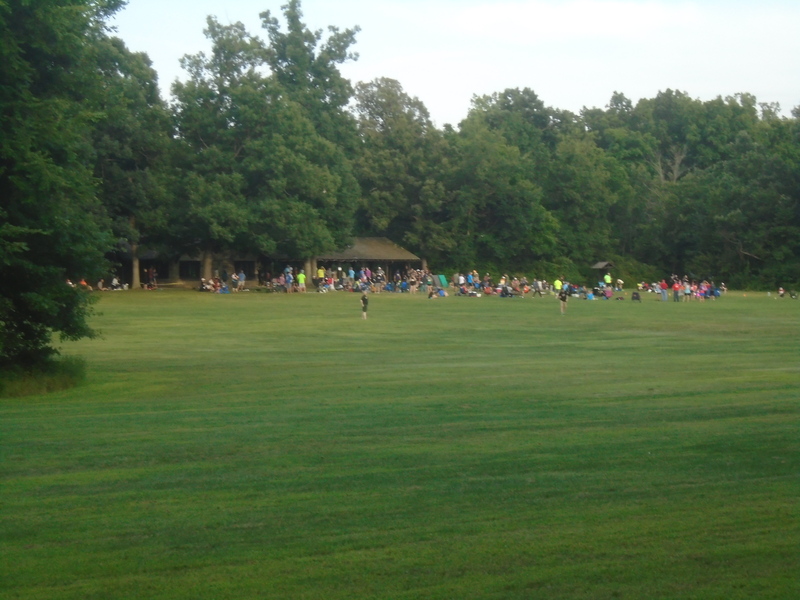 It’s a large, well organized race through some beautiful parks that were absolutely packed during the day with Ohioans out enjoying the trails. I thoroughly enjoyed the constantly changing course from roads to towpaths to bridle trails to single track and from flat to hilly and then back again. If you’re looking for a good challenge, check it out. Now for some well earned R&R. 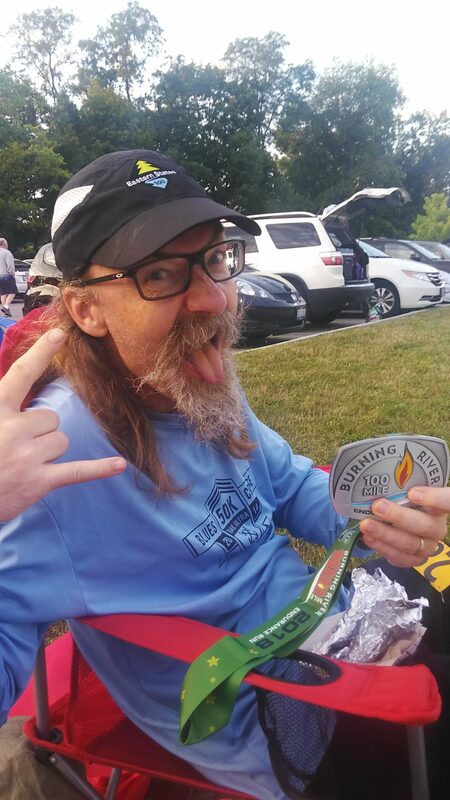 At the finish line with my dinner plate sized buckle. Rock on.